I've been spending time in the attic before the weather gets too cold, rummaging through old files I've carried around through too many moves. I'm not a pack rat who deliberately collects things. I have little patience for filing, so when I do get around to it, what is filed tends to stay filed; I have as little interest in getting rid of those boxes as I did filling them in the first place. Also, moving is traumatic enough without having to make decisions about what goes and what doesn't. But this month, sitting on the floor in the dim light and the dry, quiet air of disuse and time past that attics everywhere seem to possess, I began to feel something like the old adventure and intrigue of archival research. However likely it was that most of this stuff will become (already was) trash, there is something of my history here, and therefore the history of those I love. With patience, perhaps, a treasure or a painful artifact of years gone may work its way into time present with unpredictable consequences. Who knows? There may be gifts buried here that if freely given and received will renew themselves and create new life. So I have begun to find, thanks to a first priming experience. I brought a box home, among several that had been stored in a friend's barn, and found it on top of the pile. My friend had alerted me to the fact that it contained something unusual, a special copy of a book written by my father. John Boettiger wrote one book in the course of his 50 years. 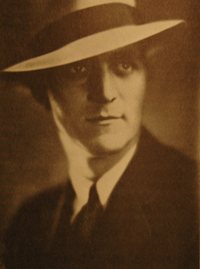 It was called Jake Lingle, or Chicago on the Spot, and was published by E.P. Dutton & Co. in 1931. In those years, the 1920s and early 1930s, my father was a general assignment reporter for The Chicago Tribune, then as now Chicago's morning daily paper. For ten years he had known Jake Lingle, The Tribune's senior reporter who had long covered the city's criminal underworld. Lingle had long known people on both sides of the law, as well as those--like himself--who plied the shadow world between the two. So when Jake Lingle was shot in the back of the head at close range on June 9, 1930 while walking in the Loop on his way to the racetrack, it was assumed that the murder was a gangland execution, and my father was assigned by The Tribune's notorious boss, Col. Robert McCormick, to cover the case. Arriving at the crime scene only minutes after Lingle's death, he spent the next 11 months almost as close to the investigation--and the subsequent trial and conviction of Lingle's killer--as the police themselves. He was on hand, crouched silently in the neighboring apartment, when the suspect was surprised and apprehended outside his door in the Lake Crest Drive Apartment Hotel on December 21, 1930. So readers of The Chicago Tribune were treated to a succession of first-hand accounts of an absorbing homicide case, for as my father put it in the foreword of the resulting book, "Never, before the murder of Lingle, had the murderer in a Chicago gang killing been caught and punished." I read Jake Lingle when I was a boy, and several times since. My father's prolonged absences from the family when I was very young, and his death by suicide when I was 11, precipitated a long search for the man he was, and the book was for a long time one of the few tangible artifacts I had--the kind of artifact that lent itself to the romance I wanted to construct. When I was not much older than he was when he wrote that book, I wrote one of my own, using all the resources I could find to make sense of the lives, families, generations and times from which I had emerged. But the particular copy of Jake Lingle I held in my hands yesterday in the attic was indeed a special one. I had thought it a major discovery when I was writing 30 years ago, but it had since slipped from memory. Putnam's had mailed my father several early copies at publication time, and he sent one of them to his parents, who had retired from Chicago to San Diego. I don't know how my father got that copy back--likely from his family after his parents' deaths--but it was passed on to me, his only child. Tucked in among its pages is an envelope dated October 10, 1931, postmarked San Diego, addressed to Mr. John Boettiger, Oakdale Ave., Glencoe, Ill. It contained two long letters, one from his father Adam, the other from his mother Dora, responding to the gift of their son's book. There is no other surviving correspondence between my father and his parents. Those two letters, full of pride and pleasure, written to the 31-year-old reporter and author whom they both still called "my baby boy," offer but one small window on his meaning for them, small and ambiguous hints in their language, their references and asides to inevitably more complex relationships. They are no less precious for that. which they gave to me. While better known for those novels, it is her poetry, and one essay drawn from her most recent volume of essays, Small Wonder (2002), that I want to highlight on this page of Reckonings, because of their moving eloquence, their graceful melding of the political and the personal, their passionate oneness with the land, their offering, in the words of her fellow writer Sandra Cisneros, of palabras del corazon, words of the heart. Although I have--perhaps misleadingly--responded to her poetry as if it is manifestly autobiographical, it doesn't, in the end, make any difference. The poems, the novels, stories and essays are hers, of her life. "What you hold in your hands right now, beneath these words, is consecrated air and time and sunlight and, first of all, a place. Whether we are leaving it or coming into it, it's here that matters, it is place. Whether we understand where we are or don't, that is the story: To be here or not to be. Storytelling is as old as our need to remember where the water is, where the best food grows, where we find our courage for the hunt. It's as persistent as our desire to teach our children how to live in this place that we have known longer than they have. Our greatest and smallest explanations for ourselves grow from place, as surely as carrots grow in the dirt. I'm presuming to tell you something that I could not prove rationally but instead feel as a religious faith. I can't believe otherwise. "A world is looking over my shoulder as I write these words; my censors are bobcats and mountains. I have a place from which to tell my stories. So do you, I expect. We sing the song of our home because we are animals, and an animal is no better or wiser or safer than its habitat and its food chain. Among the greatest of all gifts is to know our place." 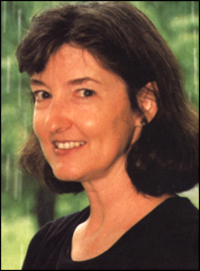 Click below to read some exemplary passages from the works of Barbara Kingsolver.